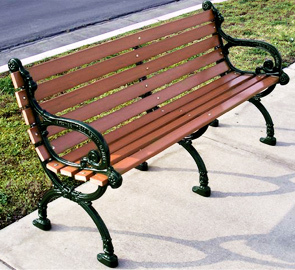 This decorative Victorian park bench has a beautiful cast aluminum frame. The seat and back planks of the Victorian benches are crafted with your choice of a gorgeous redwood or cedar style recycled plastic. 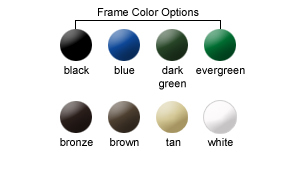 The intricate detail in the frame design will add a touch of class to any setting. The beautiful design of the cast aluminum frame makes this bench attractive and versatile in any setting. The recycled plastic plank material makes this bench durable and perfect for low maintenance parks or recreational areas.